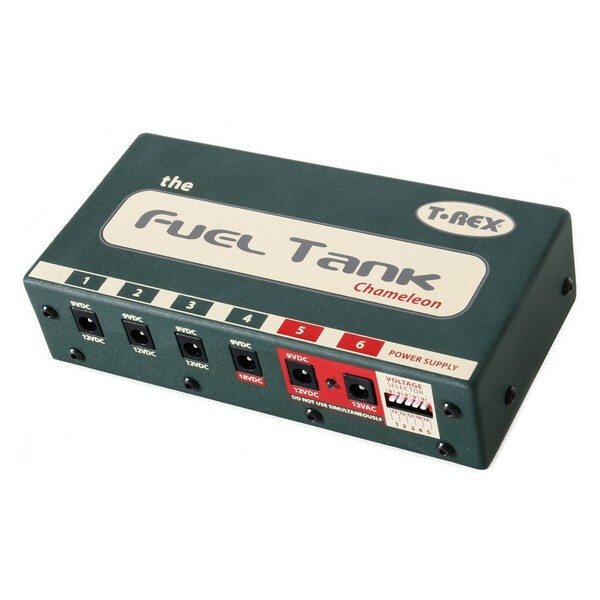 The T-Rex Fuel Tank Chameleon Power Supply brings noise-free power to your pedal board in a versatile format. 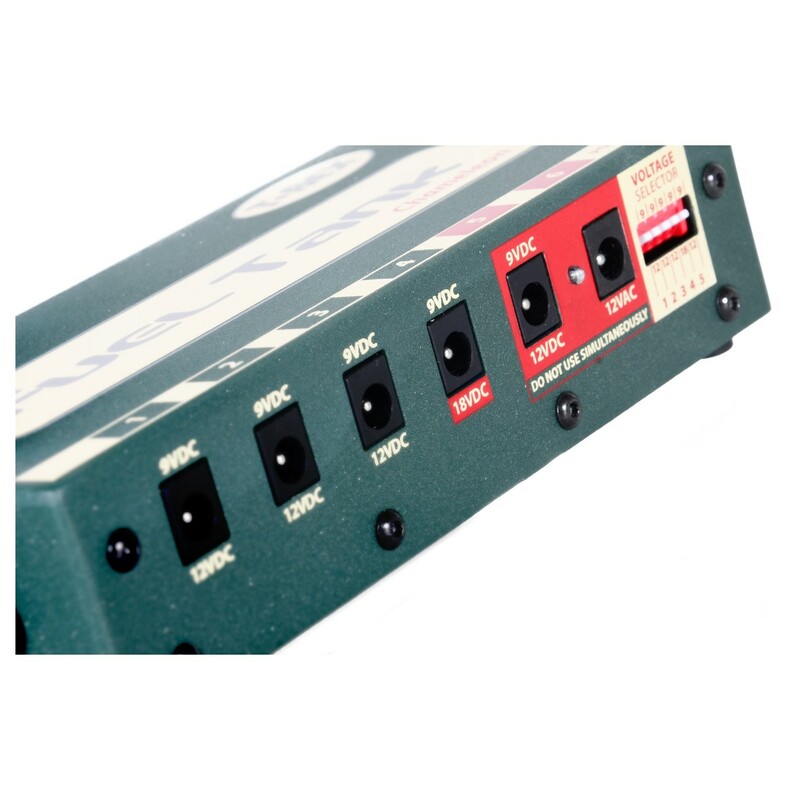 The compact, road-ready enclosure houses a variety of voltage options through its five switchable power outlets. 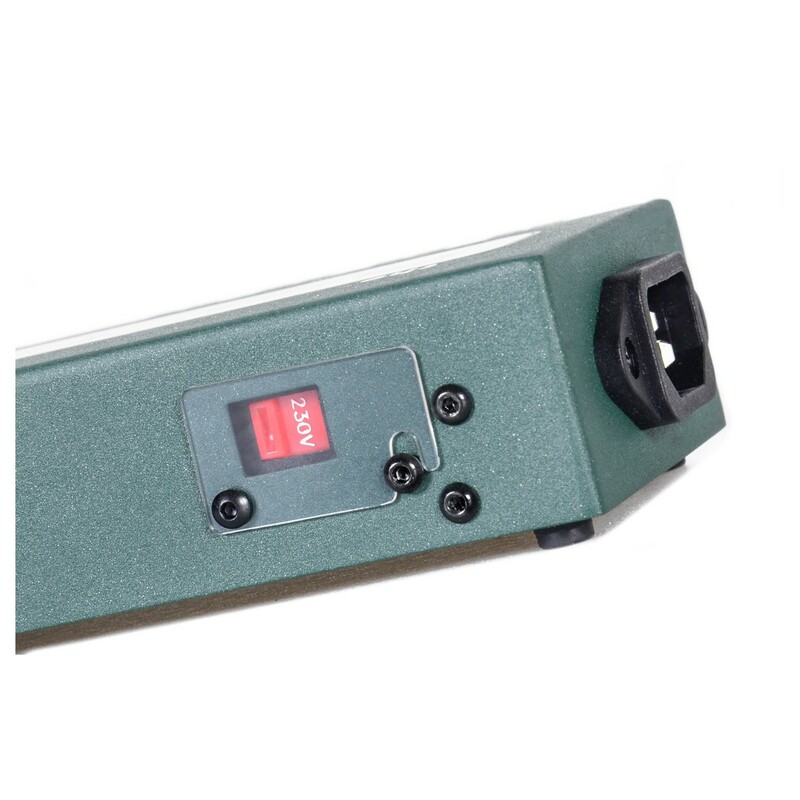 Each outlet is fully isolated, with outlets one to three being switchable between 9V DC and 12V DC, outlet four between 9V DC and 18V DC, and outlet 5/6 switchable between 9V DC, 12V DC, and 12V AC. 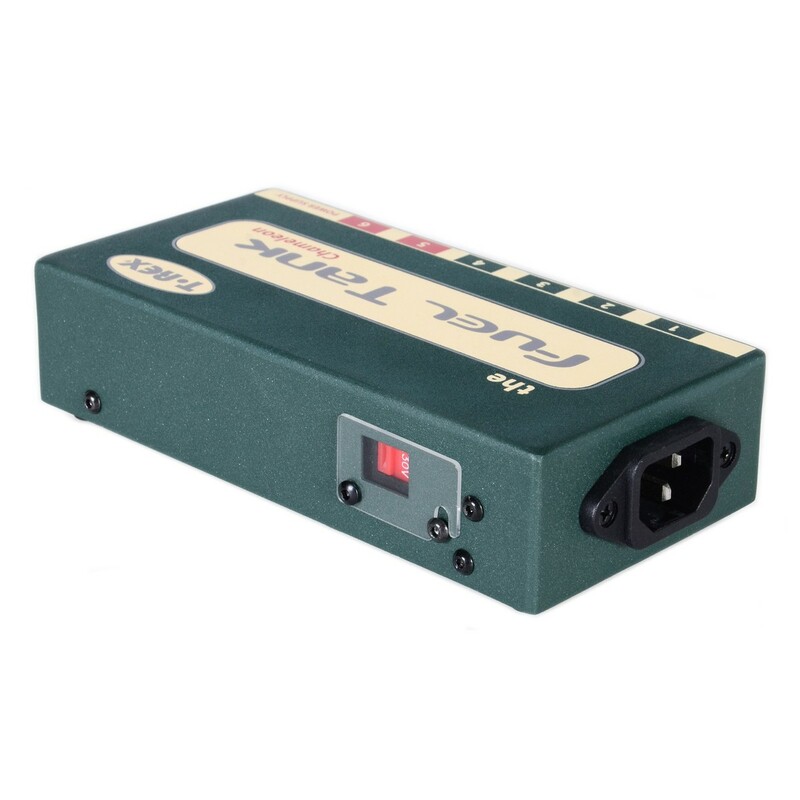 Each outlet is capable of 300mA (outlet four when in 18V mode delivers 150mA), giving you a total of 1500mA. 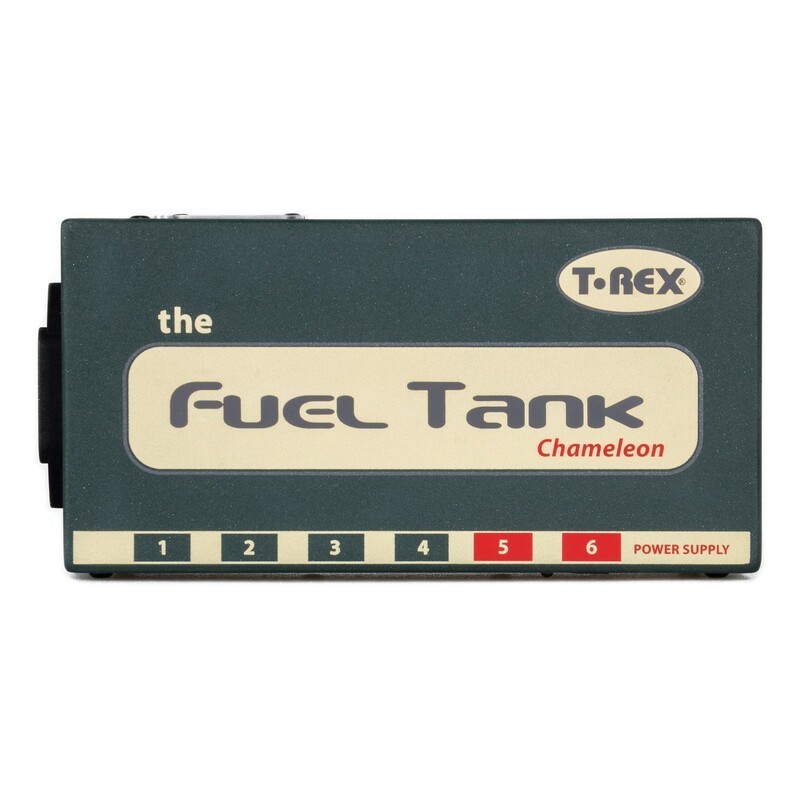 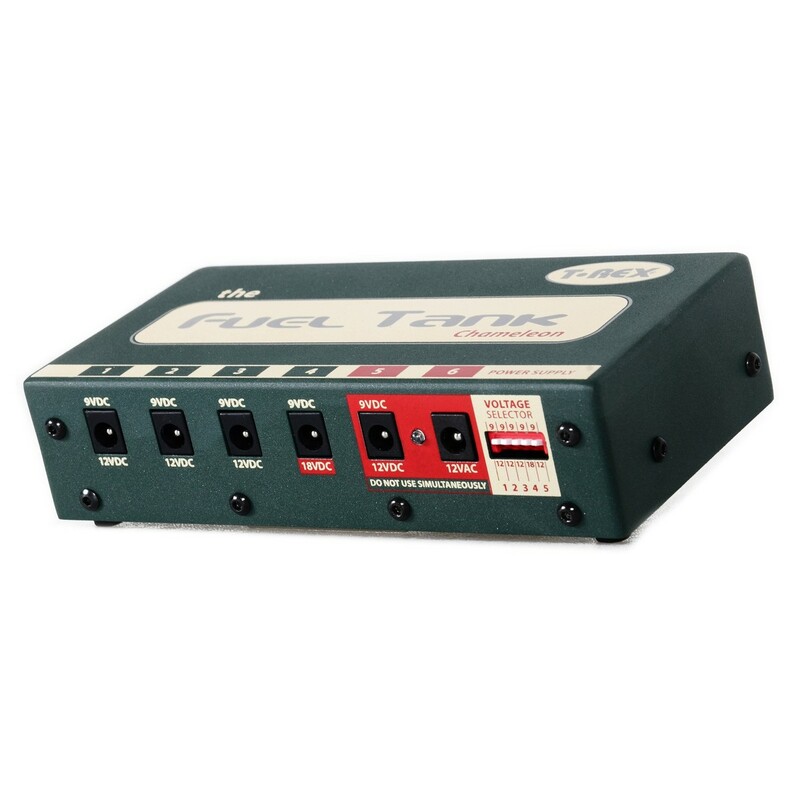 The Fuel Tank Chameleon's compact design is ideal for any pedal board.